When we originally wrote about the issue of First Responder Communications, it had been more than four years since New York was attacked, and little progress had been made to allow communication between the police and fire departments in an emergency. That communications failure was a contributing factor in the death toll on September 11th and we were concerned that if the City didn't act, and act soon, the outcome would be predictable. In the subsequent four years, we're happy to report, much has changed. The City, after a six-month testing period in 2006 between competing technologies, awarded the contract to Northrop Grumman. 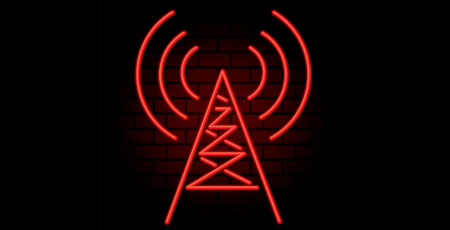 Their job, in connection with the Department of Information Technology and Telecommunications (DoITT), was to build a high-speed data network for public safety, known as the New York City Wireless Network (NYCWiN). As of this past May, it is now fully operational throughout the five boroughs. NYCWiN provides first responders high-speed data access to support large file transfers, including fingerprints, mug shots, city maps, automatic vehicle location, and full-motion streaming video. First responder personnel are linked with incident managers who can monitor events from remote sites. Video feeds are interoperable among the Mayor's Office, NYPD, Fire Department, and Office of Emergency Management. 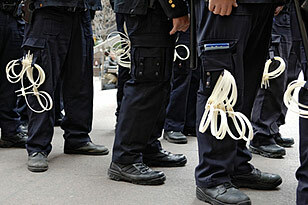 Additionally, 1,800 NYPD cars are being equipped with wireless modems capable of accessing data from the NYCWiN system. DoITT Commissioner Paul J. Cosgrave says, "While implementation of NYCWiN represents a substantial public safety and infrastructure achievement, it also illustrates how New York City is transforming itself into a mobile virtual organization. By deploying new wireless applications, we will enhance service delivery to New Yorkers, improve the efficiency of City operations, and raise the bar for the administration of municipal government." It is a major achievement. The one thing that continues to concern us, however, is the ability for the City and citizens to interact in a natural disaster or terrorist strike. Andrew Rasiej, an advisor to Senators, Congressmen, and candidates on information technology issues, says, "It's always good that the police and fire departments are moving ahead but unfortunately that doesn't seem to recognize that the public is as important to security and the importance of the public being able to access wireless networks – because in any kind of emergency, the best defense is a robust communication system." While it's not pleasant to spend time contemplating worst-case scenarios for New York City, it takes little power of the imagination to see the chaos that could quickly develop if, for example, the city had to be evacuated or hospitals were overrun. Improved first responder communications is essential. But so is emergency communication between the City and its citizens. The rest of us are, in a sense, second responders and we need the tools to respond appropriately. Crucially, information needs to flow both ways. The City must recognize that government can no longer handle disaster response apart from citizens. It's a point of view that the City hasn't come to terms with yet, and for which we may pay a heavy price.